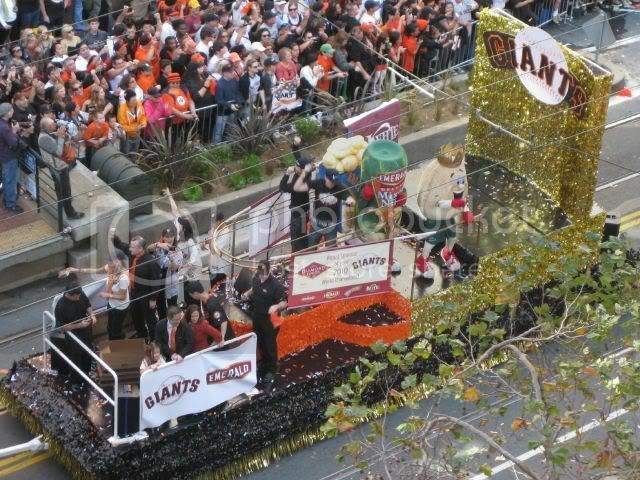 Check out the Emerald Nuts' float from today's San Francisco Giants World Series Championship parade. Tarrah Pollaro reports that it was one of at least six sponsor floats in the parade. Thanks for the tip!